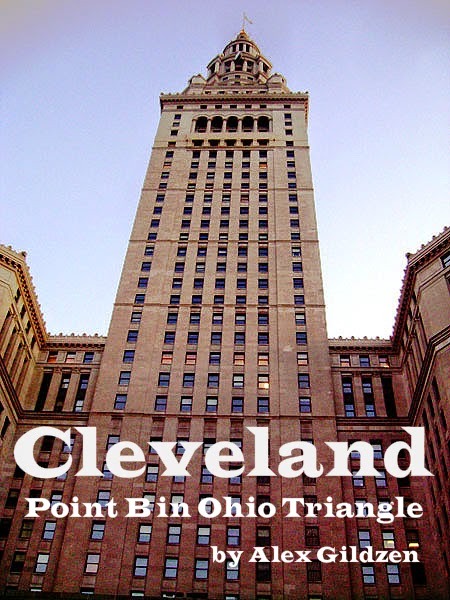 Crisis Chronicles Press is ecstatic to announce the publication of Cleveland: Point B in Ohio Triangle by Alex Gildzen on 6 October 2013. Cleveland is hand assembled with love and includes many of my favorite Gildzen poems, including "All in the Eye," "Alone in Cleveland," "West Side Market," "Tracing the Places of d.a. levy," "Short Vincent," "Sergeant Gildzen," "Day after I Learnd Daniel Thompson Died" and "Dead Poets Day." This chapbook is available for $7 from Crisis Chronicles Press, 3431 George Avenue, Parma, Ohio 44134 USA. Cleveland: Point B in Ohio Triangle is 14 pages, 8.5 x 5.5", inkjet printed and saddle staple bound. The cover is a deluxe ivory card stock that was recommended for watercolor. The endpapers are a thick, shiny, deep chocolate card stock. And the poem pages are a creamy faux parchment. 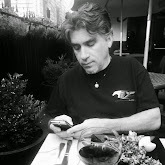 Click here to see and hear Gildzen read "Tracing the Places of d.a. levy" from Cleveland at Outlaw Poetry. Click here to see and hear Gildzen read "All in the Eye" from Cleveland in the Crisis Chronicles litmag. Click here to see ratings of Cleveland at Goodreads. Alex Gildzen never had a Cleveland address. But he’s enjoyed lasagna at Guarino’s and pierogies at Sokolowski’s. He’s danced at Traxx and listened to drag queens sing at Shaker Club. He’s purchased books at Kay’s and seen plays at the Hanna. 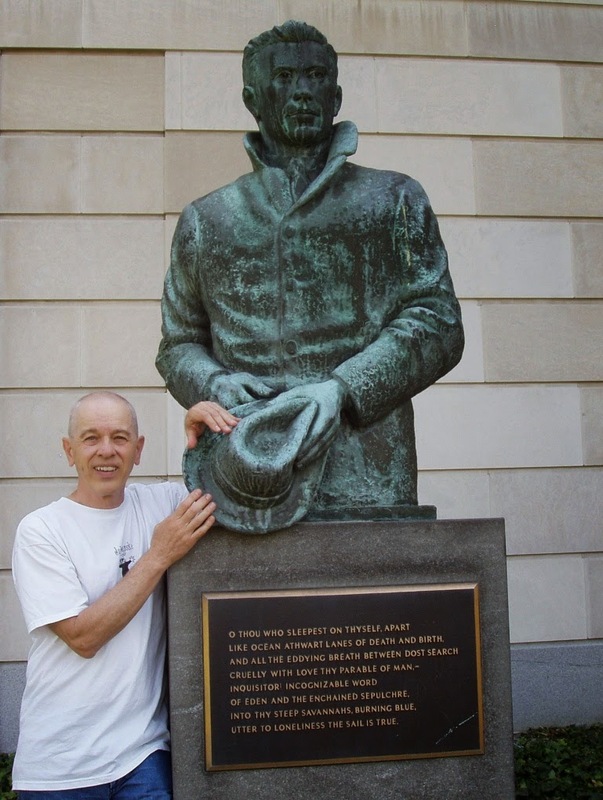 Since being one of "11 Cleveland Poets" to appear in a special section of the British magazine Asylum in 1968, Gildzen has been identified with the city. Cleveland is the middle section of Gildzen's work-in-progress Ohio Triangle. The first, Elyria, was published as a chapbook by Crisis Chronicles Press in 2009. We will publish the complete Ohio Triangle (including part three, Kent) as a perfect bound book in the spring of 2015.